Can I Get a Banacek on Aisle 5? More days off and more TV episodes logged in. Detective shows were the lingua franca of’70s television, so I’ve gradually been sampling them all, dropping the ones that bore me (McMillan and Wife, Quincy) and sticking with those that managed to achieve something creative within the limitations of the genre. Often that seems to have been an insurmountable task. 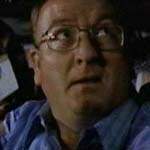 Harry O, for example, slid almost immediately into a rote action/mystery formula that had bore little resemblance to the quirky, off-tempo character drama launched by its brilliant creator, Howard Rodman. Kojak is almost completely ordinary, despite having been managed by a succession of writer-producers of impeccable reputation (Abby Mann, Matthew Rapf, Jack Laird). Maybe it was because Telly Savalas (one of television’s unlikeliest stars) was so intent on looking cool that he didn’t want anything but the most generic cop-show cliches cluttering up his periphery. The only series I tackled this weekend that was completely new to me was Banacek, one of the NBC Mystery Movie franchise shows produced by Universal. 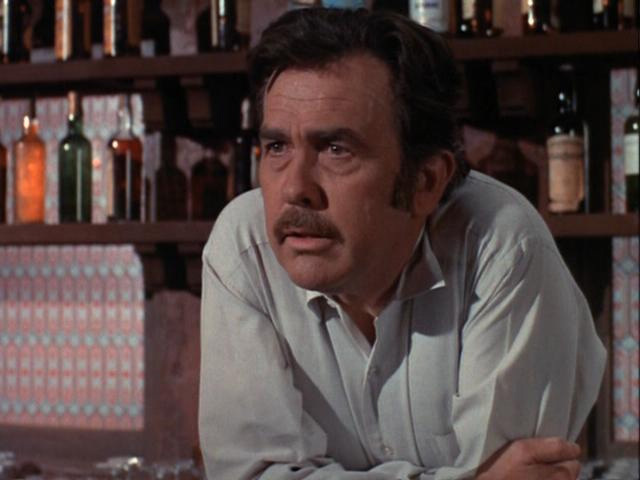 When the NBC mystery wheel moved the three hits of its first season – Columbo, McCloud, and McMillan and Wife – to Sunday, the network launched three completely new properties in the original Wednesday time slot. Banacek was the only one of those to limp along to a second season. (The flops were Cool Million and Madigan, replaced the following year by Faraday and Company, The Snoop Sisters, and Tenafly – also duds. Although I’d love to see the latter, which starred the wonderfully acerbic James McEachin as a deglamorized African American private eye.). I was curious about Banacek mainly because it was build around George Peppard, a downsliding sixties movie star I’d always enjoyed for the naked arrogance he radiated during his brief screen career. Peppard was perfect for roles like the Howard Hughes figure in The Carpetbaggers or the proto-nazi World War I ace in The Blue Max, since he seemed to luxuriate in a blatant anti-social quality, an I-don’t-care-if-you-like-me-because-I’m-a-big-star ‘tude that most of his peers held in check until the cameras were turned off. I was hoping Peppard would project his full-wattage movie star id as Banacek too, but in that sense the show was a bit of a disappointment. He’s still pretty aloof and superior, as befits the character, but he also turns on an unctuous charm whenever an attractive woman is around. Somebody must have taken Peppard aside and explained to him about Q ratings. If Columbo, the template for all the ninety-minute Universal detective series, was a howdunit that revealed the identity of the bad guy from the start, then Banacek tried to top it by being both a how- and a whodunit. Each episode depicts a daring theft before the opening titles, without showing the culprit, and leaves Banacek to ferret out the crook and piece together the details of his or her tricky scheme (usually in an extended reconstruction sequence in the last act). Like Columbo, it was a format that demanded a lot of its writers. The first couple of episodes revolve around dazzling, seemingly impossible crimes – a football player who’s kidnapped in the middle of a flying tackle (in Del Reisman’s “Let’s Hear It For a Living Legend”) or a freight car that disappears from a moving train (David Moessinger’s “Project Phoenix”). As the first season progressed, the crimes got more and more pedestrian. The show had a strong writing pedigree – it was created by Emmy nominee Anthony Wilson (the son of MGM producer/writer Carey Wilson, he died of a brain tumor a few years after Banacek) and produced by George Eckstein, a graduate of The Untouchables and The Fugitive – but it’s a daunting task to come up with eight perfect heists a year. If you could, you wouldn’t be a TV producer, you’d be, well, a master criminal. 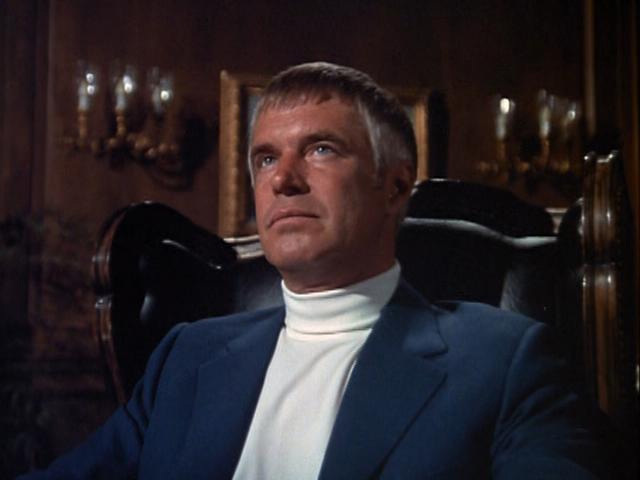 One aspect of Banacek that I like, though, is that (except in the pilot TV movie that launched the series) nobody dies. Banacek is a “freelance insurance investigator” who solves big-ticket robberies and gleefully pockets a big fee from the insurance execs. That meant the show could strike a breezy tone – sending Banacek to bed, for instance, with each week’s female guest star – without having to find some way to desensitize us against a rising body count. Giving Banacek corporate underwriters to work for also spared us the scene of the private eye agreeing to help some impoverished sad sack solve his grandma’s or old army buddy’s or pet schnauser’s murder out of the goodness of his heart. That’s a cliche I’m really getting tired of as I see it used over and over again, even in dark-hearted shows that should know better, like Harry O. One thing that puzzles me about Banacek is why everyone keeps harping on the title character’s Polish ancestry. Herb Edelman refers to him as “Super Pole” in one episode and (my favorite) Broderick Crawford calls him Bananacek. I mean, it’s not like everybody in Columbo went around pointing out to Peter Falk that he was a greasy little wop – even though Columbo (a blue-collar guy schlumping around among blue-blooded villains) might’ve expected some class snobbery, whereas Banacek is awfully well assimilated into the world of generic rich white folks. I guess it was an attempt to give a pretty bland character a little color in an era of proliferating crime shows where every hero had a gimmick. Cannon was the fat detective, Longstreet the blind detective, Barnaby Jones the old detective. But it comes across as totally forced, sort of like Ironside’s bizarre fetish for chili in the early episodes of that series. So there are a few folks you won’t find mentioned in the credits, or on the IMDb or anywhere else on the internet. But I’d sure love to dig around in Universal’s production records and learn the names of the dozens of other actors who didn’t make the cut.